It’s these words, embossed on the Member of the British Empire certificate, that mean the most to Professor Liz Kay. 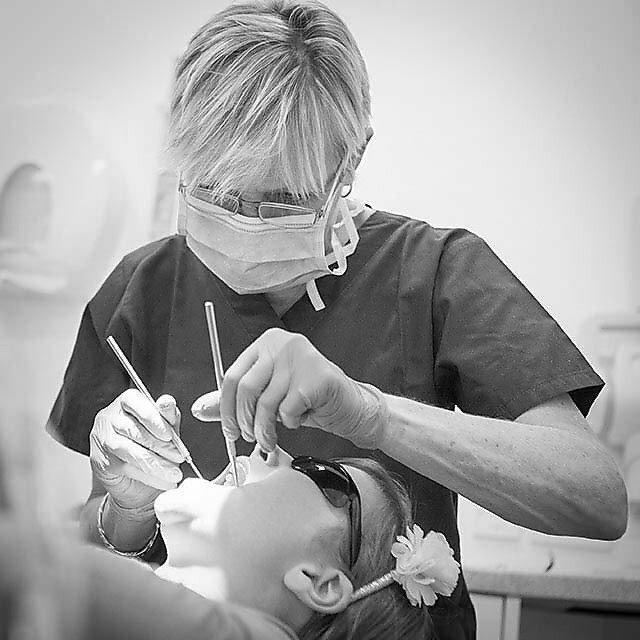 It’s not so much the recognition that resonates as the sense that her decorated career has reached well beyond academia to touch the lives of those disenfranchised from dental care. With research funding in excess of £1.5 million, and authorship of six books and 150 academic papers, Professor Kay, the Foundation Dean of the Peninsula Dental School, is all that and much more. From her weekly teaching clinics with patients with acute social needs, to her policy-shaping work, particularly around young children and the elderly, Liz has been resolute in balancing the commitments of the committee room with her need to remain active on the clinical and teaching frontline. Born in South Africa, Liz spent her childhood years in the Midlands and Northumberland, where she greatly enjoyed doing things ‘differently’. 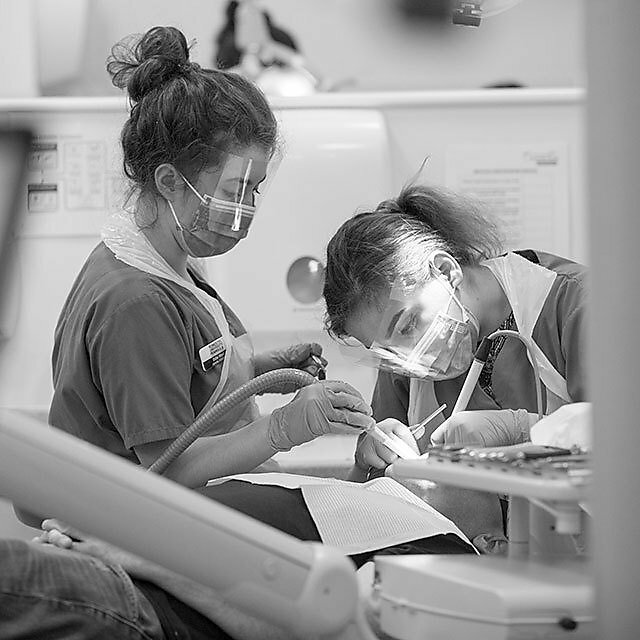 An excellent pupil who was torn between the arts and sciences, she admits to alighting on a degree in dentistry at Edinburgh out of a sense of pragmatism that it would offer her both a vocation and a profession. But when the moment came to move into general practice, Liz chose a different path, one that would take her towards the realm of academia and public health. By the time she was headhunted by the University of Manchester and became one of the first women in the country to hold a title of Professor of Dentistry at the age of 39, she had already secured her masters, PhD and fellowship qualifications, and held various positions in Scottish academia and the health service. 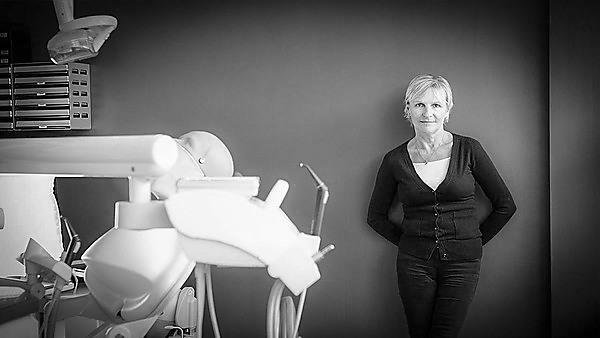 It’s evident that Liz could have happily remained at Manchester for many more years, were it not for a former colleague from Scotland who alerted her to an opportunity to lead the creation of the Peninsula Dental School (PDS). Having just won a fiercely competitive bid for the right to develop the first new dental school to be established in 40 years, the University was recruiting for a Dean, and one telephone conversation later with (the now) Professor Sir John Tooke, and Liz was inspired to apply for the role. “People ask what he said to me, and I haven’t the faintest idea,” Liz recalls. “But after I talked to him, I knew I wanted to work here and I wanted to set up that school. My presentation in interview was really quite radical, built around some of the research I had done and my 25 years’ experience in the sector. I wanted to take out all of the things that I felt were wrong in how we educate dental students, and introduce new ways of educating them, such as having them taught by experienced general practitioners, rather than academics." Her ideas earned her the role, which in the first year was akin to 'doing a bungee jump', such was the combination of excitement, adrenaline and eye-wateringly tight deadlines. And that radical presentation formed the basis of an entirely new type of dental curriculum, a pedagogy rooted in primary care. Today, Liz sits on a number of external bodies, such as the Public Health Advisory Committee of the National Institute for Health and Care Excellence (NICE), for whom she played a key role in the creation of guidelines for improved oral health in care homes and for young children. She also chairs PU PSMD's and the University’s Athena SWAN Committee, and led the successful submission for a departmental Silver Award this year. She is a passionate spokesperson for gender equality in higher education – something born from her own painful experiences during darker moments in her career. Ten years on, and the pace of work at PDS has hardly relented since those formative days when she and her team first stepped into thin air. There’s the new MBA in Healthcare she set up in partnership with the Faculty of Business; projects funded by the Medical Research Council and Public Health England to work with young mothers and the homeless; and the weekly teaching clinics at the Devonport Dental Education Facility, where students observe her treating those who find accessing and accepting dental care difficult. As our interview draws to a close, Liz turns her attention to a personal message on the wall, written by the architect of that Devonport facility. It reads: To make something new and truly different, in the face of traditionalism and fear of change, takes guts, perseverance and vision.